August 16, 2018 — Comments are off for this post. Businesses are re-thinking traditionally imposing or impersonal spaces by incorporating retail-like touches to create inviting, inclusive atmospheres, ultimately working to create stronger connections between the customer and brand as well as the with the community at large. 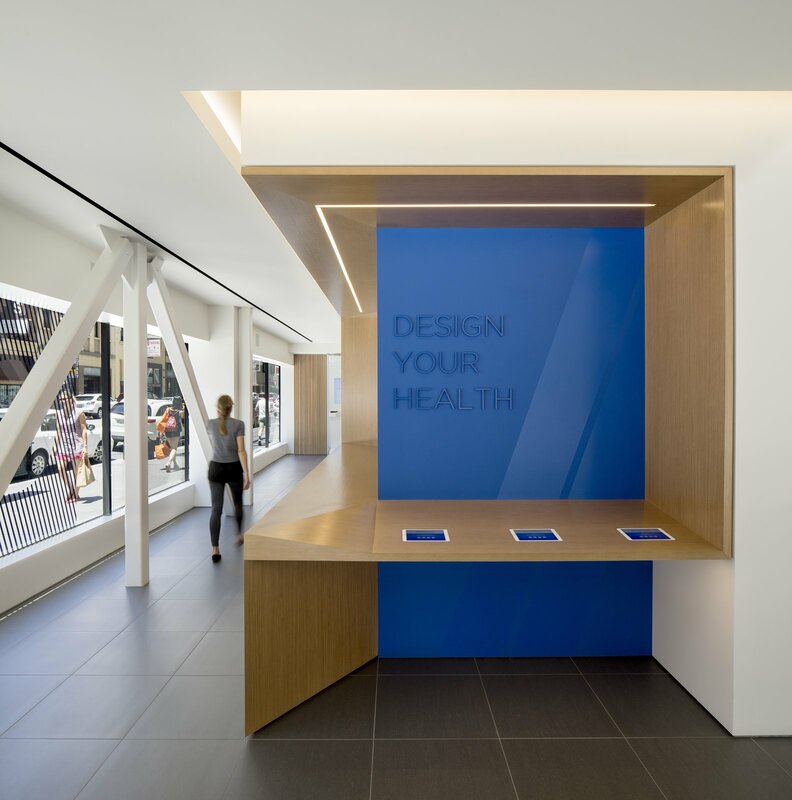 San Francisco-based preventative healthcare startup Forward is incorporating design into the doctor’s office experience with a multi-sensory approach and by bringing in a team of architects, designers and doctors to seamlessly incorporate technology and functionality. Forward’s first outpost houses six exam rooms that are each equipped with interactive and personalized displays, body scanners and so much more. When members arrive to the bright space full of wood and natural lighting, they can sign in at an iPad on the reception desk. Patients can view their own body scan results from an app on their phone, while the doctors access the information inside the exam room. U.K. financial institution Metro Bank prides itself on using its locations (which it calls “stores,” not “branches”) as community hubs. Each store hosts a range of events throughout the year, such as SME networking events and financial education programs for children. Each store is open 7 days a week and is part of the brand’s overall strategy to put the customer first and eliminate common pain points of banking, such as long waits, confusing rules and hidden fees. Financial institution Citizens Bank has been transforming its bank branches into digitally-connected community centers. As more banking moves online, Citizens Bank has been repurposing its branches as places to build relationships with clients, rather than transaction hubs. They have been attempting to create more welcoming spaces where customers will want to spend time, with more private rooms for customers to meet with bankers and discuss their financial lives. U.K. financial institution Nationwide Building Society has implemented a new, open-plan store concept that aims to break away from the impersonal, austere feel of traditional banks, instead creating a sense of transparency and openness, humanizing the brand. The design includes spaces with comfortable furniture for lounging, help and support desks, event spaces, as well as more private consultation rooms. The aesthetic uses wood and exposed brick to reference the idea of home and make the space feel inviting. Human-centered design will not only provide a platform for brands to be more creative and approachable to the consumers, but incentivizes visits to their brick-and-mortar locations.